Pulse all ingredients with a handheld blender, divide into small glass tumblers, and refigerate for 30 minutes. 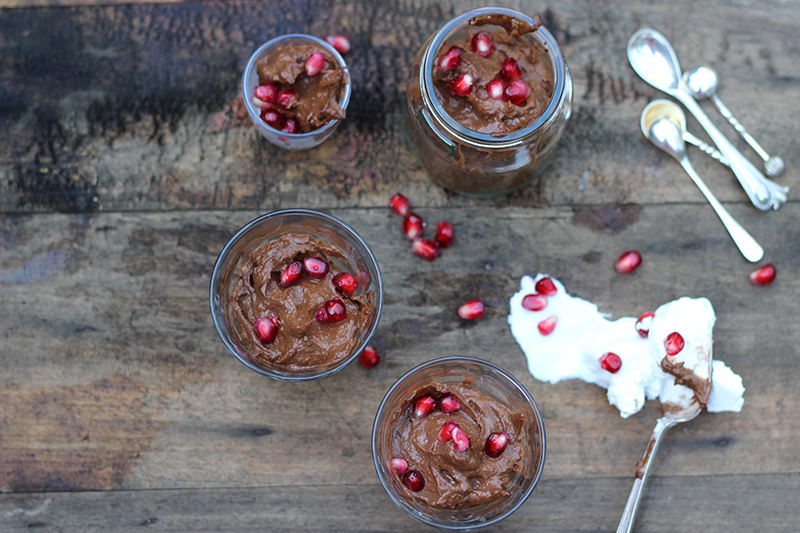 Top with coconut milk yogurt and pomegranate seeds. For detailed directions on this recipe, please visit the site of our generous contributor susanjanewhite.